The ceremony which was part of preparations for the 2019 general elections held on Wednesday at the Benue State Governor’s Lodge in Asokoro, Abuja. Governor Ortom thanked members of the council for accepting the task and affirmed the resolve of PDP to embark on an issue-based campaign to ensure the victory of the party in the coming elections. He said he was confident in the personalities on the campaign council, stressing that PDP remained the best option for the people of the state. The Governor explained that the role of the council would be to oversee the day-to-day activities of the campaign organisation headed by the Director-General. Senators David Mark and Iyorchia Ayu, as well as former Governor Gabriel Suswam and the Speaker of Benue State House of Assembly, Titus Uba, are some of the members of the 24-man council. They took turns to commend the governor on the manner he has handled the affairs of the party since he assumed its leadership in the state. The PDP chieftains also pledged their commitment to ensuring the victory of the party in the coming polls. 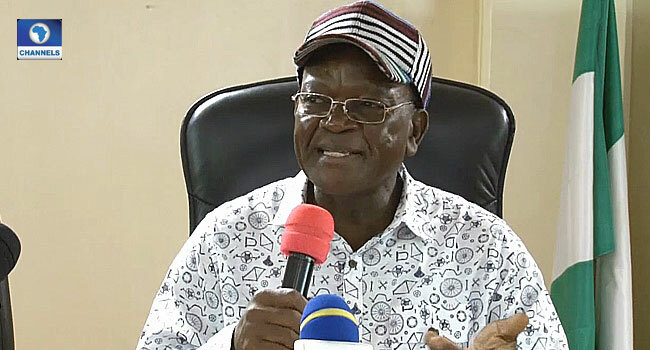 Governor Ortom who is the council chairman appointed Mr John Ngbede as his deputy and Mr Terngu Shawon as the Director-General. Other members of the council are Dr Joe Nyam (secretary), Orker Jev, Abba Moro, Avine Agbom, Margaret Icheen, Rebecca Apedzan, Professor David Ker, and Felix Atume. The rest are Dave Iorhemba, Austin Awodi, Abeje Egwa, Emmanuel Agbo, Dr Cletus Tyokyaa, Prince Yandev Amaabai, Samson Okwu, as well as the women leader and youth leader of PDP in the state.